The L’acoustics LA8 amplified controller is one of L’acoustic’s high-end integrated controllers purely designed to the comprehensive operation of their loudspeaker systems. The LA8 has a 2U lightweight chassis and combines the resources of a 2 x 4 DSP engine driving four channels of amplification delivering up to 1800 watts each and a large library of factory presets. 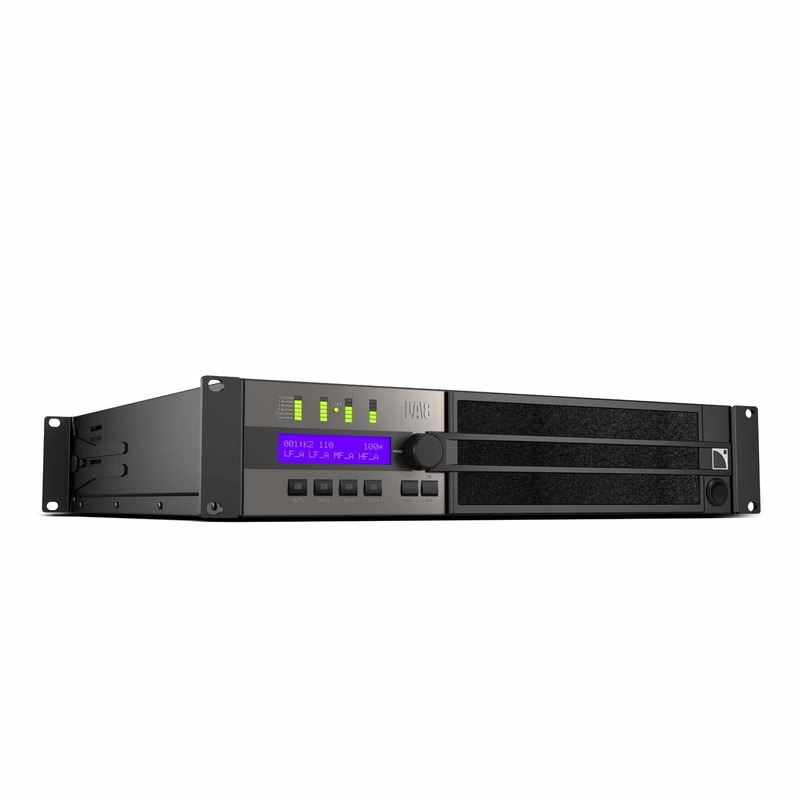 The LA8 boasts a user-friendly front panel interface, two I/O Ethernet connection ports for network remote control, a connection panel for audio inputs and speaker outputs. It also has an AES/EBU input board. Production Hire own a state of the art L’acoustics LA8 for dry hire to support your live music event. Call or contact us for your free no obligation quote regarding L’acoustics LA8 dry hire. One of the Production Hire team will be happy to help.